Gone are the days when a patient is diagnosed with a disease and relies solely on the advice of a physician, and maybe family and friends, to help live with that diagnosis. Just like almost every other part of life, personal health has become social! Not surprisingly, patients in need of everything from treatment recommendations to emotional support are seeking that knowledge and interaction online. For pharmaceutical or medical device companies, it is essential to recognize the power and influence of online health advocates in reaching the patients you seek to treat and support. According to Pew, Internet users with chronic conditions are more likely than other online adults to turn to the web for information about medical problems, treatments and drugs; to look at reviews about drugs and treatments; and read or watch other people’s personal stories about their illnesses. This fact alone should convince communications or marketing professionals to invest in social advocacy engagement as part of their marketing communications plan. 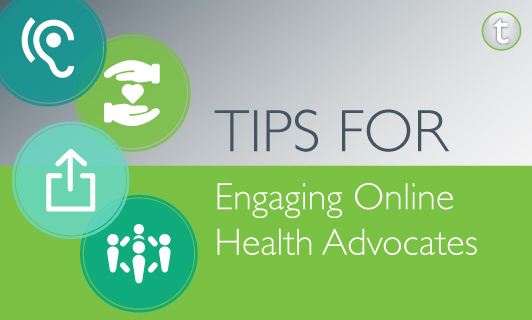 So how do you build relationships with online health advocates? Identify the influencers. Who is the most influential blogger in diabetes, or where are patients with inflammatory bowel disease going to find support? No matter what disease or condition your company is focused on, the key to finding the most influential online advocates is visiting the social communities and networks where patients go themselves. By conducting a thorough analysis of patient advocacy organizations, their social platforms, online patient communities and individual blogs and microblogs, the most influential voices among your patient community will start to rise to the top. Follow and share. Once you’ve identified who the most influential online advocates are, start following their blogs, Facebook pages, Twitter feeds… really all their social platforms. “Like” their posts and share relevant content via your personal and corporate social media networks. Demonstrate that you are listening and interested in what they have to say. Listen to their needs, and offer solutions. Once you’ve started following an online advocate and sharing his or her content, it’s time to make an introduction and start a dialogue. Remember, it’s a relationship, so ask questions and listen. What does he or she see as the biggest need for the patients or caregivers living with that disease? How can your company address that need? Start working together to provide solutions and answers that reach those in need. Keep them in the loop. Are you planning the launch of a new campaign? Ask your new friend’s opinion of planned activities and enlist his or her help to improve upon them. Is a new indication on the horizon for the brand? 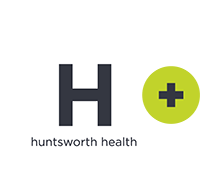 Keep online health advocates informed of regulatory actions and offer the most influential advocates exclusive access to leadership to discuss the news. And let us not forget that in the life of every company or brand, there comes a time when things aren’t so sunny. When a product or company issue arises, turn to these online advocates to share your side of the story and seek their support in addressing the challenge with the patient community. Remember that building relationships with online advocates (like any relationship) requires time, trust and commitment. Tonic can be your matchmaker, relationship coach and counselor throughout the process. Give us a call!